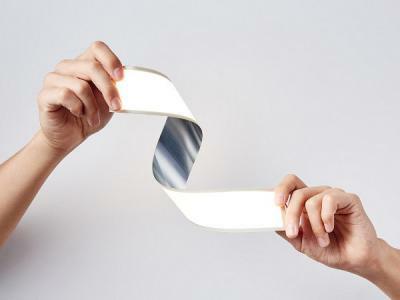 LG Chem launched a new flexible OLED lighting panel sized 406x60 mm - more than twice the size of their current flexible panel (which is 200x50 mm). 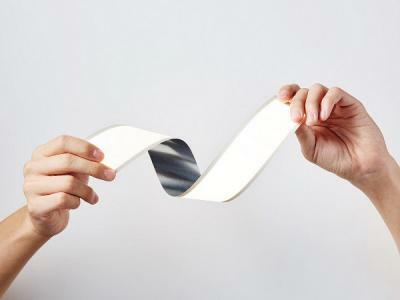 The new plastic-based panel model number is P6BD, and it is only 0.41 mm thick. The P6BD offers 20,000 hours of lifetime, efficiency of 50 lm/W and a CRI of 85. LG Chem says that the panel's uniformity is 70% and above.